It is online! 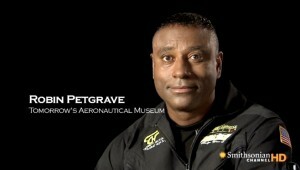 This is the launch our new website www.tamuseum.org where we have the Time Warner Cable PSA playing. This commercial is part of the Connect A Million Minds campaign and highlights TAM as a prime example of the practical application of STEM (Science, Technology, Engineering, Math) in action. We were just at Google L.A. to participate in The 24 Hours of Good project. Some of the most talented Coders worked 24 hours nonstop and made a mobile version of our site that won the People’s Choice Award. It Rocks, you just use any Tablet or Smartphone, go to www.tamuseum.org and be prepared to be blown away. Can you believe it, a sixteen year old and our summer high school interns built our first App and Google took it to the next level. The kid joined the program when he was eight and here is a video that he wrote, performed, produced, edited, and shot (even some Green Screen action). CNN ran a story about us the last weekend in April, it ran all weekend worldwide including all of their affiliate stations and on their web site. Check it out www.tamuseum.org and let me know what you think. CNN got such positive feedback that they wrote a story and put us back on the Home Page – this was to inspire followers to help us. Here is the link to the story Smithsonian Channel ran. They have a shorter version on the Smithsonian site, let me know what you think. Check out the photos attached, This is how I see history. Flying a helicopter on the Finals of LAX over the Space Shuttle on Crenshaw Blvd. is one of coolest experiences I have ever had. Then to be invited by California Community Foundation to speak on a panel at the luncheon they gave to their donors and Mrs. Oschin and see the Endeavour up close before the general public, I have to keep pinching myself. Just when you think it could not get any better, the “Pilots Airmen” photo where the past-present-and future stand on the steps of the new Dragon capsule designed to take seven people to the International Space Station. Look carefully at the “TAM Group” shot because one of those kids might be flying that spaceship someday soon. We are grateful for SpaceX’s sponsorship and support as TAM develops programs to involve youth in S.T.E.M.-oriented after-school programs as we educate and inspire the next generation of scientists, engineers, pilots, and space explorers. Our goal, designing, development, construction, and Crewing future Commercial Space Operations. That’s right, in the near future some of our kids will be Astronauts and many of them will be Engineers in the Commercial Space Program. This came at a great time because we just launched our campaign to raise some $$$$ to let us expand to help more kids. This is a great opportunity for you to get involved in a program that “gives back” by prepping kids to make history. Check out the information and forward this to anyone you think could help. We also have an online store, add it to your Twitter.